Go northwest of a city ripe with Maratha history; sprinkle a few stories of valour and intrigue, and you have a taste of Panhala. 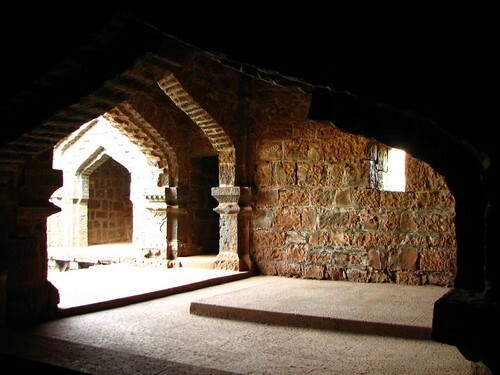 While the fort has witnessed many events, Chhatrapati Shivaji’s escape from Panhala and the ensuing Battle of Paavan Khind is what Panhala is most famous for. And you wouldn’t ever miss this story — if you went to Panhala, because a towering statue, all 52 kilograms of bronze, stands in the middle of the fort to honour the one person who ensured that Shivaji survived his escape to Vishalgad. The origins of this battle were laid a little over six months before, when Shivaji killed Afzal Khan at Pratapgad on the 10th of November in 1659. This was then followed by a very short battle a month later between Shivaji and Rustom-e-Jaman at Kolhapur on December 28, 1659. Shivaji, after this victory took over Panhala from Ali Adil Shah II, the fifth king of the Adil Shahi sultanate of Bijapur (Bijapur was one of the five Deccan sultanates including Ahmednagar, Bidar, Berar, and Golconda). Shivaji then continued spreading his influence over the region. This obviously caused distress to Ali Adil Shah II who was all set to march to Panhala. However, Siddi Johar who had defied the Shah and taken over the jagir Kurnool, offered a deal to Ali Adil Shah II to recognise his control over Kurnool in return for laying the siege at Panhala. The Shah agreed, and also gave him the title of Salabat Jung. Siddi Johar was assisted by Siddi Masud and Fazal Khan (Afzal Khan’s son). The seige was laid on March 2, 1660 with a force of fifteen thousand men. The siege continued for six months into the month of July in 1660. The Adilshahi army cut of all supplies to the fort and made it increasingly difficult for Shivaji to continue resisting the siege. Sensing the trap, Shivaji clandestinely communicated with Siddi Johar and requested an alliance with him and a safe passage. Siddi, saw this as an opportunity to carve out a separate empire of his own with Shivaji and agreed to meet him. They met at at midnight and agreed to cooperate. Shivaji returned to the fort and the seige continued as before. Fazal Khan, however, was adamant on taking revenge for the death of his father, Afzal Khan, at Pratapgad. He maintained a close watch on the movements of Shivaji and continued the seige in all seriousness. However, Panhala is one of the largest forst in the Sahydri Mountain Range. Fifteen thousand men were too less to take on a fort of that size. Fazal Khan, instead, chose to atatck Pavangad, a nearby fort and avoided a frontal attack. He used British guns and began shelling Pavangad. The commander of Pavangad requested for relief from Panhala. Shivaji know knew that if Pavangad fell, supplies to Panhala would be cut and would be starved. Two teams left Panhala on the night of July 13, 1660. Shivaji and his commanders took a side road to Vishalgad, about 70 kilometres away from Panhala, while Shiva Kashid, a barber who had a strong resemblence to Shivaji, led the other team on the main road to Vishalgad, impersonating Shivaji. When news reached Fazal Khan’s camp, they captured the second team and brought them back to base. The imposter was however recognised and beheaded and Fazal Khan chased Shivaji through the night to Vishalgad. Baji Prabhu’s instructions were to hold guard till he heard cannons fired from Vishalgad, which would signal the safe passage of Shivaji into Vishalgad. Baji Prabhu fought valiantly in that pass for five hours, supposedly with two swords weighing 15 kilograms each. (Shivaji later renamed that pass as Paavan Khind (Sacred Pass) in the memory of Baji Praphu Deshpande). The remaining soldiers carried his wounded body into the hills and left the pass open. First captured by Shivaji on 28 November 1659. Shivaji escapes the seige on July 13, 1660. 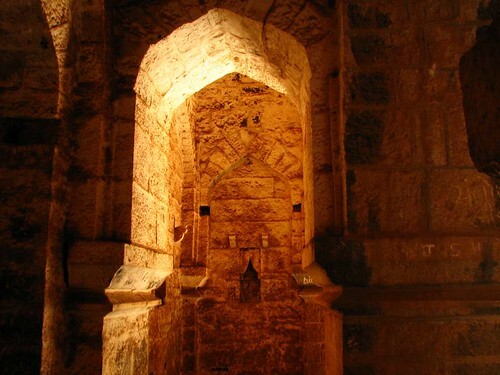 Fort recaptured by Ali Adil Shah II in January 1661. Annaji Pant, led by Kondaji Farzand regains Panhala, 6 March 1673. Starting from the early build by by Raja Bhoja II, Panhala has seen itself further decorated and fortified by its various owners over time. 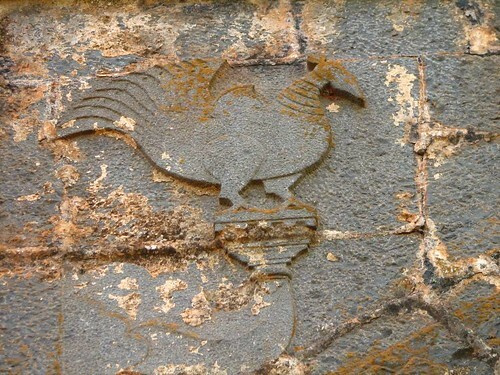 The primary architectural stamp on the fort, however, is in the Indo-Islamic style, popularised by the Adil Shahi dynasty of Bijapur. 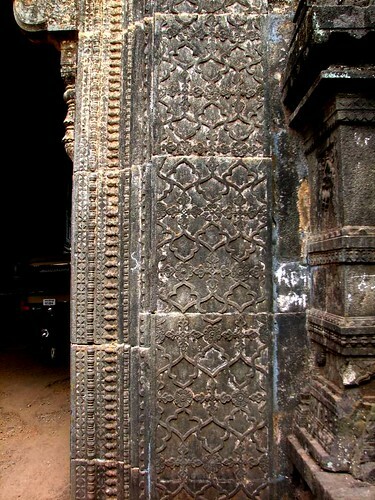 Panhala has various examples of this architectural identity: peacock motifs, arches, domes, and vaults. Lime mortar has also been used extensively as also lead. 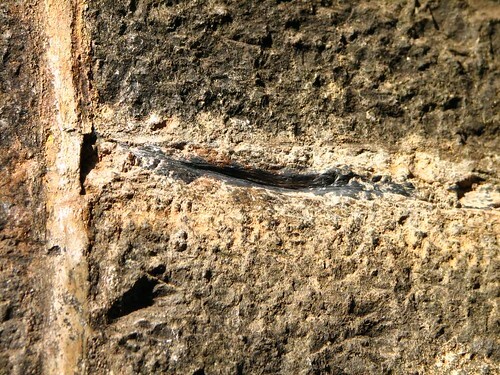 Use of molten lead, mixed with mortar to strengthen the foundations of the fort. Panhala, Kolhapur. 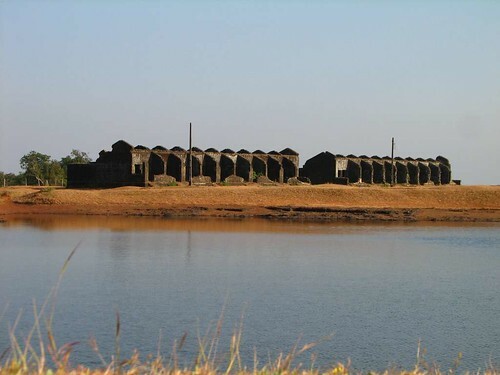 At an altitude of 3177 feet above seal level, Panhala is a very scenic place, just 18 kilometers away from Kolhapur. It is one of the largest forts of the Deccan and has fortified walls for about 8 kilometres of its triangular structure. You can have look at Panhala in Google Earth. Paste the text below in the search box of Google Earth. 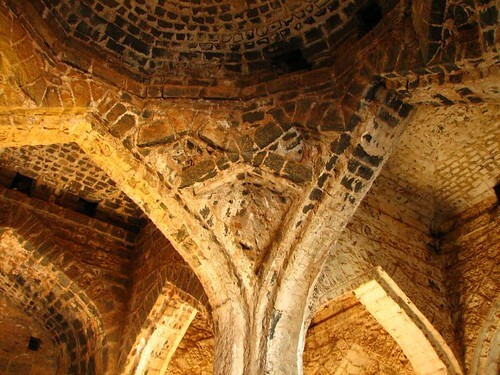 ‘INDO – ISLAMIC ARCHITECTURE’, Centre for Cultural Studies [accessed 3 July 2010]. Michell, George, and Mark Zebrowski. “Chapter 2: Forts and Palaces.” Architecture and Art of the Deccan Sultanates (The New Cambridge History of India). New York: Cambridge University Press, 1999. 23. Print. 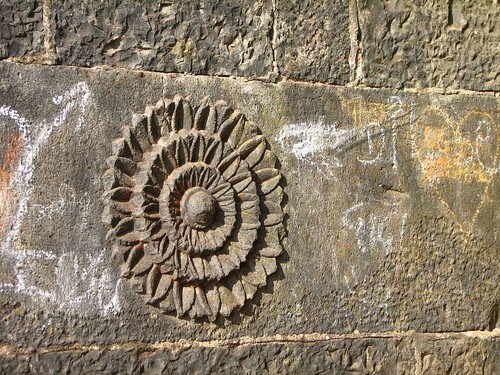 Sources on Shiva Kashid are sketchy and not verifiable. It is not known whether he was beheded by the Adilshahi army or not. 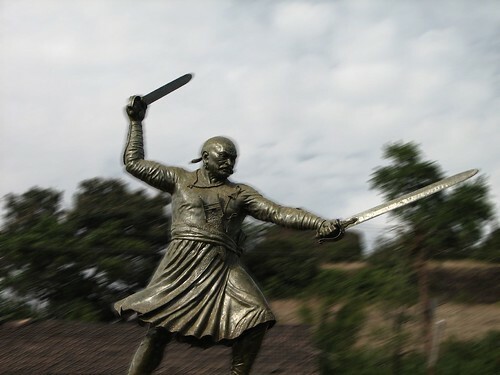 Interestingly, the Shiva Kashid incident doesnt find mention in major history references, however – it is his statue that greets you as you enter Panhala. All photographs, unless otherwise stated, (c) Atul Sabnis. All rights reserved.